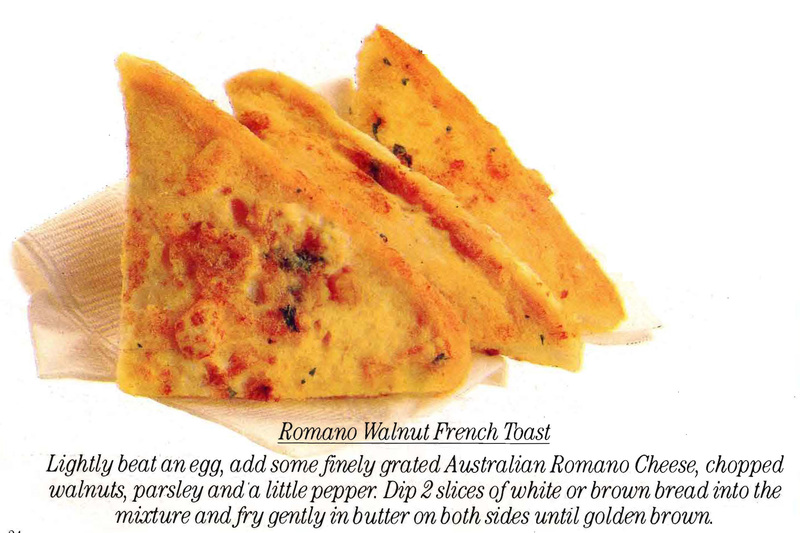 French Toast or really fried bread with cheese and walnuts? The Wikipedia definition of French Toast is “a dish made of bread soaked in eggs and milk, then fried” which technically this is, but still for me French Toast has to have cinnamon and sugar or at least something sweet, not cheese and walnuts……….. 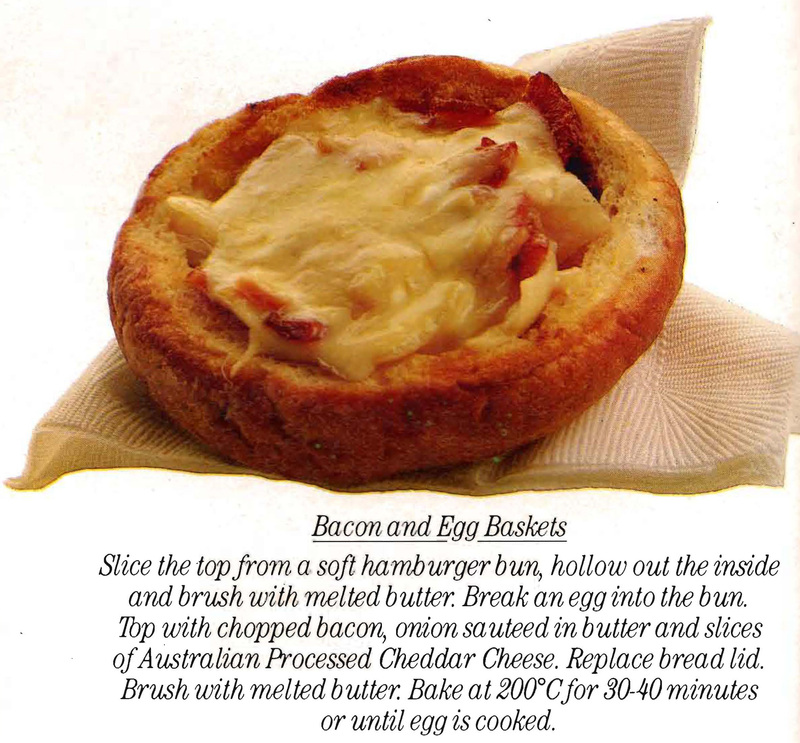 I like this idea of a bun filled with bacon, eggs, onion and cheese. I think it could also be good cold, but then I love cold egg and bacon pie – especially at a picnic. 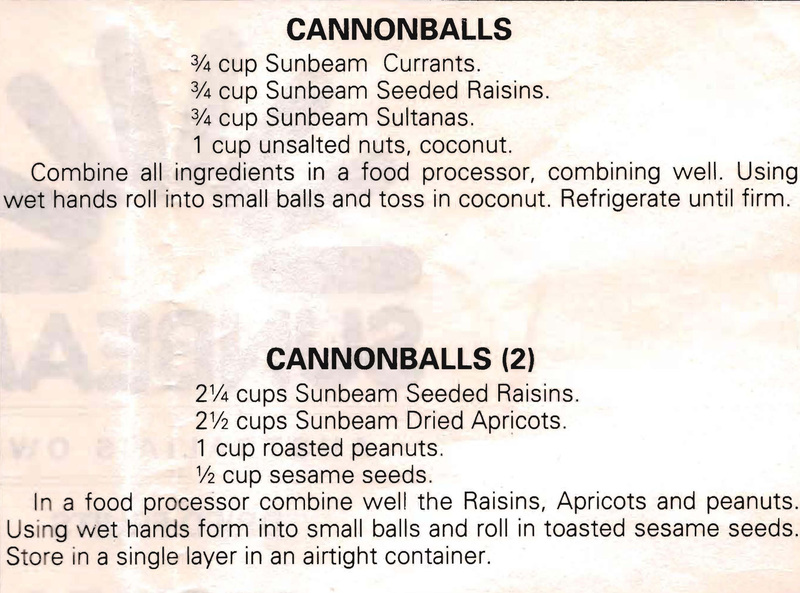 Cannonballs – isn’t that a great name for these dried fruit treats. 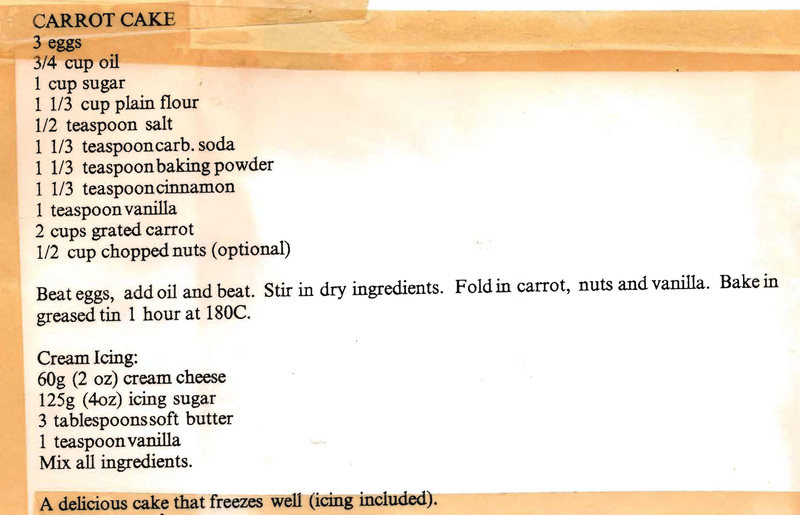 Unsurprisingly the recipes come from an old Sunbeam Foods recipe sheet. They’re not all that different, but the good thing is that they’re both gluten free. While these little vegetarian pies look great with their lattice topping, if you can’t be bothered cutting the design into the pastry it’s much easier to top them with an ordinary pie lid and they taste won’t be any different. 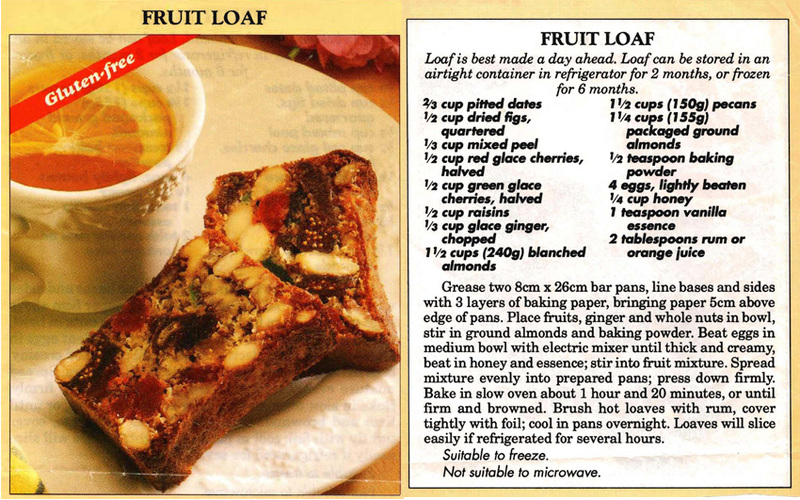 Finding cake recipes that are gluten free is easier in 2019 than it was back in the 1980s, so this fruit loaf was probably very unusual and a joy to find back then. It has the added bonus that it keeps for 2 months and can be frozen – although it wouldn’t be cheap to make. Then what gluten free product is cheap?